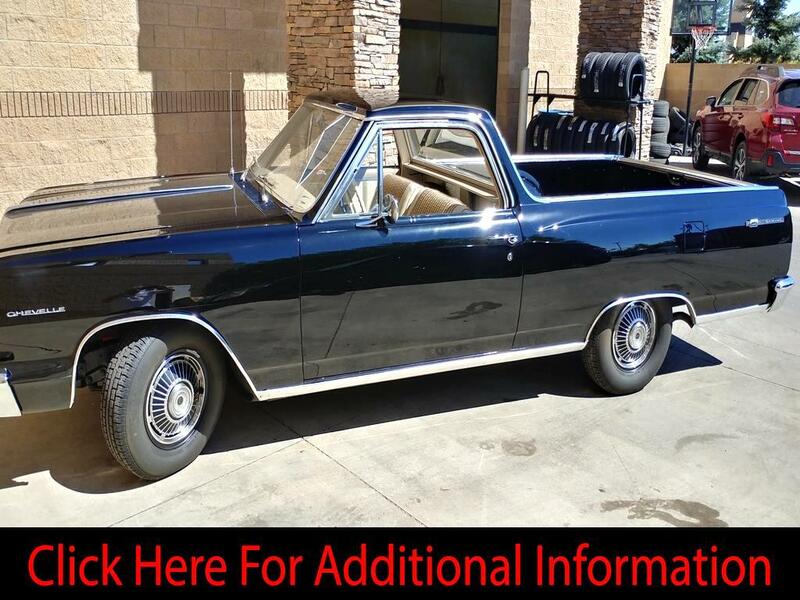 1964 Chevelle El Camino-All Original Matching Numbers Car! 230ci 6 Cylinder Motor Rebuilt in 1998 with only 500 miles, Car has 55,372 Original Miles, 3 Speed Manual Transmission (3 on the Tree). Original: Interior, Wheels, T3 Headlights, Dash & Radio, Seats & Door Panels, New Rubber Molding Through Out Car & Newer Carpet, New Brakes, Beautiful Polly Urethan Paint, Upgraded 3 Core Radiator. Restored from 1997 to 1998. Car came from North Carolina, The current 2nd owner since 1995 started restoring the car in 1997 with New Floor Pans while removing any remaining rust from the car. Paint was completed as major parts from the car were removed from the frame then reassembled. Restoration was completed in 1998 and the car was Garaged stored for the next 4 years on Jacks. The car is as close to “All Original” as you’ll ever find for a 54-year-old car. Owner has now decided to sell the car to start and finance a new Restoration Project.